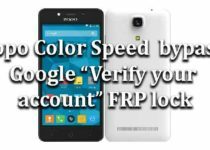 How to Bypass FRP lock from any Android device? How to Use FRP Bypass APK? Is FRP Bypass Apk compatible with any Android device? Is FRP Bypass APK, free? Does FRP Bypass Apk work on low-end Android devices? Is FRP Bypass APK safe to use? FRP bypass APK can deactivate the FRP lock completely from Android devices. There are times when we Factory Reset our phone and forget the Google Password. Google Password or Gmail ID Password is the most important thing to get all the apps running and to get back all the data on an android phone after the Hard Reset or Soft Reset. Hence to solve this problem, you can use the “FRP Bypass APK”. This application comes in handy when one has the need to Bypass Google Factory Reset Protection aka FRP lock without much complication. In the article below we will be discussing the ways in which you can take advantage of the “FRP bypass APK 2018” and everything else associated with it. 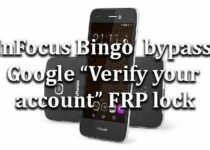 Many users try to search for the answer to the questions on how one can Bypass FRP Lock to unlock their mobile devices and cannot find an appropriate solution for it. Here we will give you a detailed guide to never have trouble with the Google Factory Reset Protection in future if you forget the password. Google has developed the Google Factory Reset Protection to save their users from the intruders that might use the information on their phone in case of robbery or loss of the phone. However, there are times when it becomes really difficult to break this safety feature even for the person whose phone it actually is. If you are one of the people who continuously keep forgetting their Google passwords, this post will be very beneficial for you. For more details, read below. Let us start this article by understanding what Google Factory Reset Protection is and why do you need to bypass it? So, the Google Factory Reset Protection is nothing but a safety measure taken by the companies on all the Android devices that keeps the phones safe in case of an emergency. There is a lot of personal data on the smartphones, and when they get stolen, the Google FRP lock saves you from the malpractices of the robbers. The only way to bypass Factory Reset Protection is to get the password for the Google account that belongs to you, which is impossible. The feature is used in all the Android devices that use Google Play Store and other Google Features. Initially, it was introduced by the bigger mobile phone companies such as LG, Samsun Galaxy, Huawei, Motorola, LG, Sony Xperia, Alcatel even Nokia and many other smartphone corporations. However, now every smartphone which is connected to Android, has started using it. It is a beneficial feature and should be a part of an Android phone considering the number of web crimes increasing day by day. Nevertheless, for some users, this security FRP lock feature can create problems. Since the only way to access the phone is by providing the password of the Google account, it becomes impossible to open the phone if you forget your Google password. One way to go about this is to just retrieve the password. Unfortunately, for most people that is also not possible due to numerous reasons. Hence to solve this problem, we use an alternate solution to bypass the Google Factory Reset Protection. This is the ‘FRP Bypass apk’ that will resolve all your woes. In the section below, you will find a step by step guide to bypass the FRP easily. This is a simple guide, and anyone can understand it easily. All you have to do is get your phone and follow the steps carefully. With this guide, you will quickly bypass the verification step and set a new Google account for your Android Smartphone. The primary aim of this article to give you the simple method through which you can Bypass Factory Reset Protection. The steps can be followed easily, and the tool can be used by anyone with the necessary knowledge of technology. Mainly two methods are used for the process of FRP bypass. This method is used on any Android device that has Android 5.0 Lollipop, Android 6.0 Marshmallow, Android 7.0 Nougat and now even on Android 8.0 Oreo. So if you have lost the password to the Google account but did not want to recover the password, this guide will help you in successfully dodging the Google Factory Reset Protection. Make sure you follow all the given steps carefully because even one missed step can ruin the whole procedure. Before starting the step by step guide, you would need- USB drive, PC and OTG cable. This is required for the method number 1. For the second method, you do not need the OTG cable. However, the other two are still important. So, without any further ado, let’s dive into the guide. FRP Bypass APK Free Download from the given link above. After downloading the file, take your USB drive and copy the file to it. Setup Wizard starts and will guide you through the entire process. Follow it step by step. Once this is complete, the Factory Reset Protection section tab will open. You will be asked to enter the Google password and account details. However, you cannot follow this step since you do not know the password. To fix this, follow these steps. Connect the flash drive with the OTG cable and connect your OTG cable with your Android. You will see File Explorer opening on the screen. Go to the folder in which you saved the FRY Bypass APK. After you click on a file and click to install, your phone will keep blocking the installation procedure. This is because the file is from an unknown source. To solve this, go to the Settings and enable the Unknown Sources. Now you can install the file on the device. Click on the install option, and the application will install on your phone. Tap Open, Go to settings menu and go to the Backup and the Reset. Now click on the Factory and Data Reset and Erase Everything. Click on confirm. You will now be able to safely Bypass Google Factory Reset Protection. As soon as the procedure is done, restart your Android phone you will not face any problems. You can now add new Google account. The alternatively you can just skip the process altogether as per your convenience. In the first method, we discussed the way to easily Bypass Google Factory Reset Protection with the help of the OTG cable and FRP bypass APK. The minute you turn on the device, follow all the instructions of Setup Wizard. You will see the FRP Bypass tab open. Click to open your keyboard. Go to its settings. Click on Menu Button. You will see the Help and Feedback option. Click on it. The search tab will open. Type something in it and click the Share option. Now click on Messaging and on New Message. Now type some random number in the To space. Click on the contact icon. Next step is to click on call icon. Then select the call. As soon as you see the dial pad screen, click over “Pause button” to take the call on hold. When the call set on hold, then tap on Add dialer button and type *#*#4636#*#*. You will see the Usage Statistics click on it and then click on back button. You will now be taken to Settings option. You will find Backup and Reset button. A list will open. Now select the Factory Data Reset. Click on confirm. The process will start, and you are good to go. These are the two methods that are used to quickly Bypass Google Factory Reset Protection easily. For both the people with and without the OTG cable, this guide will be your ultimate savor. Whenever you root the Samsung devices, a Custom Binary Lock gets activated automatically as an added security measure. This is done so that when your phone gets stolen, no other person is able to unlock is in use your details for evil practices. When this happens, your device activates the Custom binary lock by FRP gets enabled by default. This, in turn, blocks you from going to custom recovery settings on the phone. This is a prevalent issue and fixed by the following steps. Download the given app to your phone from the link. Go to downloads and unzip the downloaded file. Now install the downloaded app. The next step is to press the home button, power, and volume-down key together for 3 to 4 seconds. Your phone will show a software update notification on the screen. Open software update tab on your phone and press volume up key for some time. Now from the apps screen, open Odin3 App. Connect your mobile phone to your computer. Select all the files that you have just downloaded on your phone and click on the START option. Your device software will begin upgrading. Once the upgrading finishes, disconnect the device from the computer and quickly reboot it. There are many FRP Bypass tools available online that you can trust and use on all Android devices for free here is the list of Top 10 easily available tools to quickly Bypass Google Factory Reset Protection. Here are best methods that you can use if you find yourself struggling with the Google Factory Reset Protection. Account Login to safely bypass FRP lock method. The last one is the Sidesync Method. Yes the “Google FRP Bypass Apk 2018” can be used on all kinds of Android devices. So, if you have an Android device, this app will easily be downloadable and will run on it. Absolutely, the FRP Bypass APK File is free to download and use on your Android device. There are no hidden charges or costs in this app. Indeed! 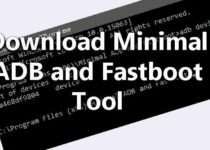 Even if you have the lowest Android version, the FRP bypass tool will work on it. You don’t have to own a high-end device in order to run the tool. This is one of the most frequent questions in the minds of the users because of the presence of malicious tools on the internet. We can assure you that it is completely safe to use the FRP Bypass tool in your Android app just like thousands of other people in the world. Getting through the Factory Reset Protection is usually a challenge faced by a lot of Android users every day. With this article, we learned how to easily Bypass Factory Reset Protection and found the answers to some of the most common questions asked by the people. We have tried to include everything that was to discuss the “FRP bypass APK” and FRP bypass tool its use. However, if you have some queries or complaints regarding it, do not forget to leave a comment below. Also, let us know whether you liked the post about “FRP bypass APK 2018” or not by commenting below and do not forget to share it with the people you think might benefit from it. FRP Bypass helps to overcome the security feature of the device so that you can easily bypass Google Account verification process. As per user ratings, FRP Bypass APK has 4.1 Stars. a. A useful tool for Samsung Galaxy devices. b. Just download and use it for free. c. You can also share this tool with your friends and family. If you have forgotten your Google Account ID/ password, this tool will come in handy. a. You cannot access this tool directly through the local market or resources. b. Play Store users cannot access this tool.